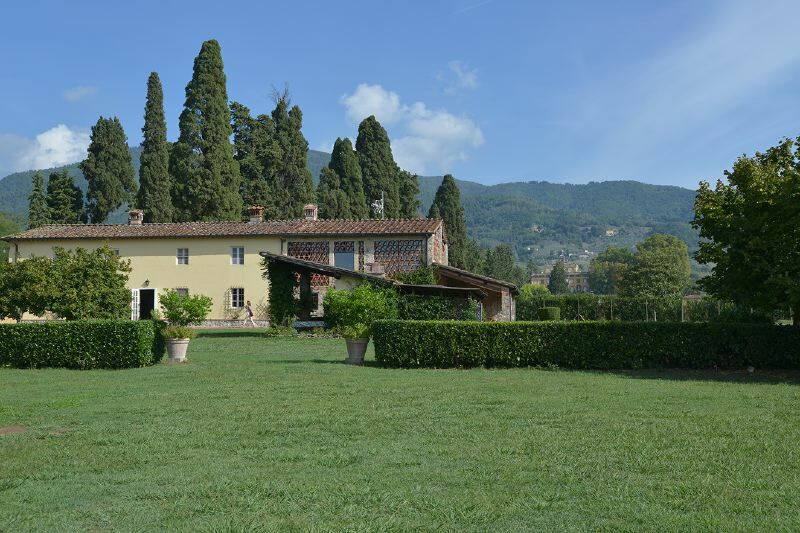 This delightful farmhouse is located inside the Villa Torrigiani estate, one of the most luxurious and spectacular villas of the Lucca area, which dates back to the second half of the XVI century. The structures of the villas in this area are true works of art: large spaces, gardens, porticos, halls, frescoes and statues, parks with stone basins and small lakes. 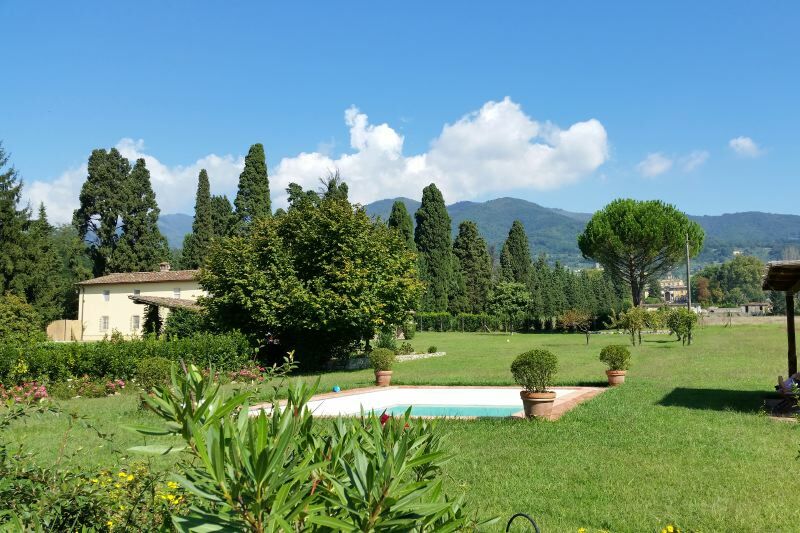 An avenue of cypress trees, almost one kilometer long, leads up to the villa which is surrounded by a large private green area that includes a portico with table for eating “al fresco”, a barbecue and a swimming pool (5 x 8 m) situated around 50 meters from the farmhouse. The indoor areas are well looked after and have been carefully and tastefully furnished. The following amenities are provided: dishwasher, washing machine, internet connection WiFI, DVD player, well-equipped kitchen with barbecue, air-conditioning in 3 bedrooms and at the ground-floor. The small town of Camigliano has general food stores. Segromigno (approx. 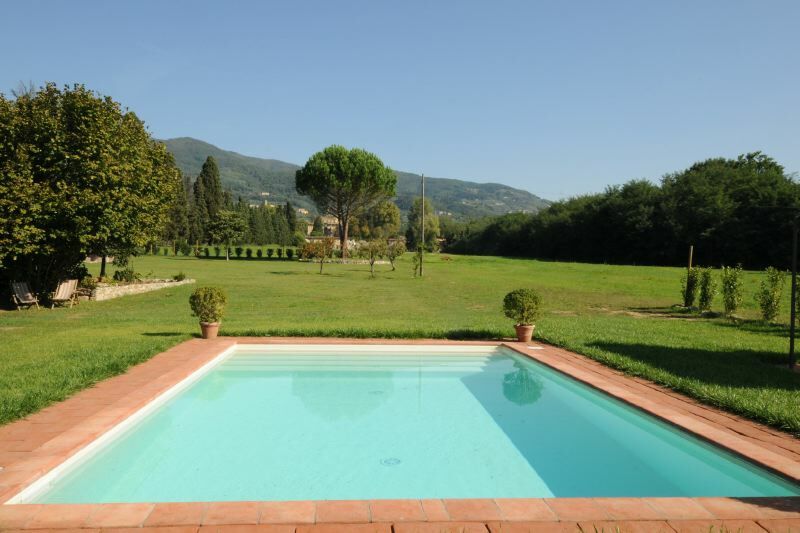 5 Km) is another delightful town with many facilities, Lucca is 11 Km away. All the most famous beaches of Versilia can be reached in around half an hour. Viareggio and Forte dei Marmi also offer nighttime entertainment as well as many top fashion designer stores. GROUND FLOOR: living room with fireplace; dining room; large kitchen with dishwasher, barbecue and breakfast area; wardrobe room, bathroom with shower and washing machine. FIRST FLOOR: large living room with fireplace; 1 double bedroom, en suite bathroom with bathtub; 1 double-bedroom (can be made into a twin on request), en suite bathroom with shower, also accessed from the entrance; 1 small bedroom with two single beds; 1 bedroom with two bunk beds. Air-conditioning in 3 bedrooms and on ground-floor.